Today, Speaker Ryan and the Republican Task Force on Poverty, Opportunity, and Upward Mobility released an anti-poverty agenda. In developing the agenda, the Task Force identified four key principles that guided their work. These included conditioning the provision of welfare benefits on work, providing incentives to move people from welfare to work, measuring results, and focusing support on people with the greatest need. Below we detail some of the recommendations the Task Force made, especially those pertaining to housing. The Task Force recommends that work-capable welfare recipients be required to work or preparing for work to receive benefits under federal safety-net programs. To encourage work among people receiving federal housing assistance, the Task Force also recommends aligning housing benefits with the Temporary Assistance for Needy Families (TANF) program for all work-capable residents who are living in Public Housing or in project-based Section 8 housing or who have received a Housing Choice Voucher. Currently, all states impose participation requirements in work-related activities on most adults who receive TANF assistance. The Task Force claims that HUD programs lack requirements that encourage self-sufficiency, contributing “to rental assistance becoming more expensive and waiting lists growing larger each year as current recipients stay longer.” Under the Task Force’s proposal, work-capable individuals receiving housing assistance would be expected to work or prepare to work by developing self-sufficiency plans with a TANF case worker, who will also assist them in preparing for working, such as helping arrange child care, transportation and other necessities. While the Task Force proposes linking affordable housing to the TANF program, it is important to note that the welfare reform of the 1990s not only didn’t improve poverty levels, but also sunk some families into deeper poverty. TANF, created during that reform, continues to fall short in helping people break the cycle of poverty. In fact, the majority of people who are eligible for TANF benefits do not receive them. In 2012, only 32.4% of eligible families received assistance from the TANF program, while recent research indicates that some of the poorest families are not receiving assistance. Poor families that are not receiving TANF benefits include those that have been sanctioned for not complying with program requirements, or have reached their state’s time limit. Studies have found that families that lost their TANF benefits through sanctions are more likely than other families to include a person with a disability that can hinder his or her ability to find or maintain employment. Moreover, we have also seen work requirements and time limits imposed in HUD’s Moving to Work (MTW) demonstration without the necessary evaluation to see if these requirements help low income residents increase earnings or if they in fact create negative outcomes. Now, with the recent expansion of the MTW program to an additional 100 public housing agencies (PHAs), we have an opportunity to evaluate how such policies impact low public housing residents. Unlike the first iteration of the program, the expansion will be overseen by a research advisory committee to ensure the demonstrations are evaluated with rigorous research protocols, including quantitative analysis and comparisons to control groups. This new evaluation requirement goes hand in hand with the Task Force’s focus on funding programs based on performance outcomes. To that point, lawmakers should hold off on mandating work requirements for recipients of housing assistance until that research is conducted to better understand the potential impact such requirements might have. The Task Force proposes allowing states to test new ways of providing welfare benefits to achieve desired outcomes. When states choose to exercise such flexibility, any demonstration conducted must be paired with an evaluation to determine its efficacy in helping people rise out of poverty. Currently, 2,400 housing agencies administer the nation’s two million housing choice vouchers. Of these 2,400 agencies, 58% administer fewer than 400 vouchers. These small housing agencies exist in rural, suburban, and urban markets. In urban markets, there are 558 housing agencies administering vouchers in the nation’s 49 most populated metro areas. Consolidation of the administration of vouchers would result in administrative cost savings, bring significant benefits to voucher holders and people with low incomes in need of housing vouchers, and reduce HUD’s oversight costs. The Task Force also recommends moving beyond the public housing model towards new housing models “that harness the abilities of non-profits and other cost-effective service providers.” While NLIHC believes that public housing is a critical housing resource for people of modest means, we recognize that in this unstable federal budget environment, developers can no longer count on federal subsidies to support projects serving extremely low income (ELI) households, those earning less than 30% of the area median income (AMI). The national Housing Trust Fund (HTF), as well as the Low Income Housing Tax Credit and Rental Assistance Demonstration programs, offer ideal opportunities to finance creation and preservation of affordable housing through the leveraging of private dollars. Finally, we were heartened to see the Task Force propose efforts to encourage greater engagement of public housing residents in the operation and management of their residence. 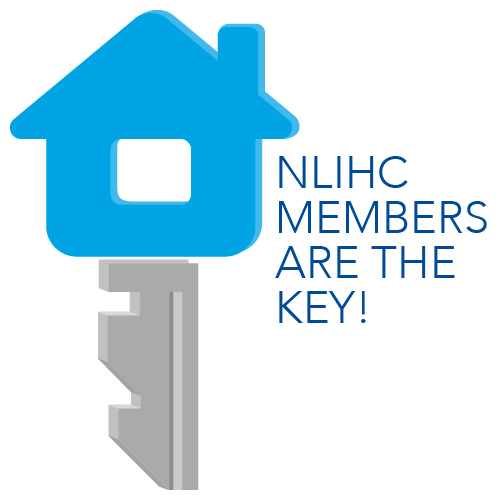 NLIHC has long advocated for greater resident engagement and participation. Public housing residents have important personal perspectives about the impact of established and emerging housing policies on their homes and communities. Consequently, they have good ideas about how their housing developments should be managed. Resident participation in all aspects of housing management is critical to the long-term success of federal housing programs. The Task Force recommends consolidating the U.S. Department of Agriculture’s Rural Housing Service rental assistance program into HUD’s Housing Choice Voucher program, since they have “almost identical goals”. The Task Force believes that through consolidation, lawmakers can simplify the delivery of services for seamlessness, consistency and fairness. Tiered-Funding Structures. Programs will first be tested on a smaller scale, and if effective, will later be scaled up. Use Funding Models that Only Pay Based on Outcomes. The proposal recommends using a pay-for-success or social-impact financing model, in which an organization or intermediary only receives payment from the government if the agreed upon outcome is achieved by a program. Program Evaluation to Determine Funding Decisions. Every social program would be evaluated to determine its effectiveness. To do so, the Task Force recommends redirecting program funding towards evaluations or data collection. Expand the Availability of Data and Information. The proposal recommends that policymakers have access to high-quality data to ensure they can make the best decisions as to what programs should be funded. Over the coming weeks, Speaker Ryan and the Task Force will release 5 more pillars of their policy proposal “to get America back on track”, some of which are expected to include concrete legislative proposals that may be moved by relevant committees. While we still don’t know whether House Republicans will move legislation incorporating the Task Force’s housing recommendations, we will continue to monitor and track any new legislative proposals that do so to ensure ELI families receiving housing assistance do not lose their safety net.